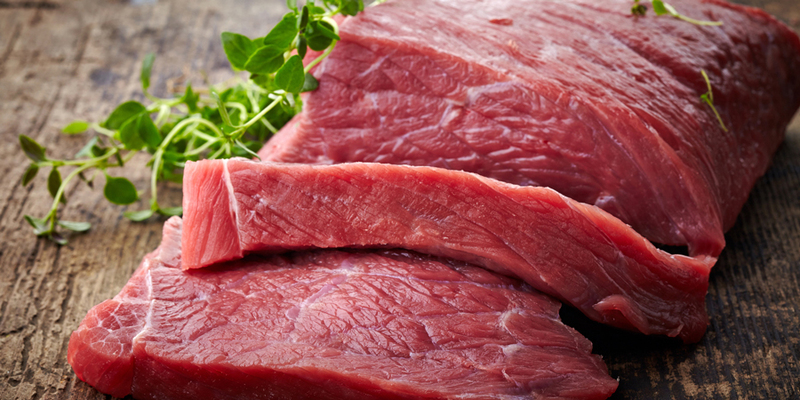 Federal rules are making locally raised meat more expensive. Action Alert! There is an increasing demand for locally-raised meat as more and more Americans reject the products of concentrated animal feeding operations (CAFOs), where animals are kept in squalid conditions. What many Americans may not know, however, is that federal rules keep the price of locally-raised meat high by restricting where the animals can be slaughtered. Loosening these rules will allow more Americans to choose local meat and to vote with their dollars against CAFOs. Current federal law requires slaughterhouses producing meat for sale to have USDA inspectors on site during slaughter. The law was passed in 1967, when there were 10,000 slaughterhouses nationwide; today, there are less than 3,000 slaughterhouses operating due to the concentration of the meat industry. Because there are fewer slaughterhouses, small producers must travel incredibly long distances to and from federally inspected slaughterhouses. This means lots of time away from the farm and expensive transportation costs, making it difficult for small businesses to compete with CAFOs. Cronyism is also part of the story. Some commentators have said that USDA regulations have pushed smaller slaughterhouses out of business. Complicated, bureaucratic red tape favors huge facilities that process meat for CAFOs. There have even been accusations that the USDA treats smaller facilities more harshly since they are easier targets—they don’t have the government lobbyists and legal experts that the industrial slaughterhouses have to fight any potential USDA actions. The federal government is helping to rig the game against small producers in favor of CAFO-raised meat. There is an alternative: smaller, custom slaughterhouses exist throughout the country. Legally, they can only process meat for the owner of an animal and their family; it cannot be produced for sale. The PRIME (Processing Revival of Intrastate Meat Exemption) Act, which is currently being considered in Congress, would permit the sale of meat processed at custom slaughterhouses intrastate to households, restaurants, and grocers. This bill will make sustainable, locally-raised meat more affordable and allow small farms to compete with CAFOs on a more even playing field. Opponents of the bill argue that the PRIME Act would put consumers in danger, since the meat would not be inspected by the USDA. The argument echoes the opponents of raw milk, who argue that non-pasteurized milk is more dangerous—even though it’s not. USDA inspection does not guarantee safety; there have been plenty of recalls on meat products tainted with dangerous pathogens. In 2016, more than 47 million pounds of meat were recalled because of listeria contamination. Custom slaughterhouses would also process far fewer animals a week than the industrial operations employed by CAFOs—another reason that safety would not be sacrificed under the PRIME Act. Custom slaughterhouses must also comply with the Humane Methods of Slaughter Act, which stipulates that animals must be rendered insensible to pain before being slaughtered. While there aren’t USDA inspectors at every custom facility to ensure compliance, the agency can and has found and punished those who violate the law. Finally, the USDA does periodically inspect custom slaughterhouses to ensure compliance with federal hygiene requirements (having washable walls and floors, proper drainage, etc.). This is to say, there aren’t many reasons to believe that food safety will suffer drawbacks if the PRIME Act becomes law. Additionally, as we have argued in our coverage of raw milk, ANH–USA believes consumers should have the right to access foods from local producers, and farmers should be able to offer these products directly to consumers. Animals raised in CAFOs are often pumped full of antibiotics. While this helps prevent rampant illness in the filthy conditions of a CAFO, it also turns the animals into “disease factories” where resistant bacteria can flourish. Humans can then be exposed to these superbugs by eating contaminated meat. Because local producers do not typically give their animals antibiotics, locally-raised meat is a much safer bet from a health standpoint. Animals on CAFOs are also fed diets consisting of GMO corn and soybeans, rather than grass and forage. This difference in diet changes the nutritional composition of the meat from the animal—grass-fed meat contains up to five times as much omega-3 fatty acids, which is associated with a number of health benefits. The government should be working to expand consumer access to better meat, not rigging the game so CAFO meat is the only realistic option for most people. Action Alert! Write to Congress and tell your representatives to support the PRIME Act. Please send your message immediately.